Every dropshipping business ideally follows the same routine. First, a customer places an order with a business, who in turn forwards the order to a manufacturer. Then, the manufacturer prepares the order, and finally, sends it to your customer. This first and most important step, where the customer places their order, is where choosing the right sales channel becomes crucial. Sales channels are the platforms that businesses use to market and sell their products. Not every sales channel is a perfect fit for every business. The type of sales channel that a business uses effects everything about how they are able to present their product offering to their target market online. In this article, you will learn about the different types of online sales channels used by dropshipping businesses–their benefits and drawbacks–as well as tips on finding the right sales channel for you. 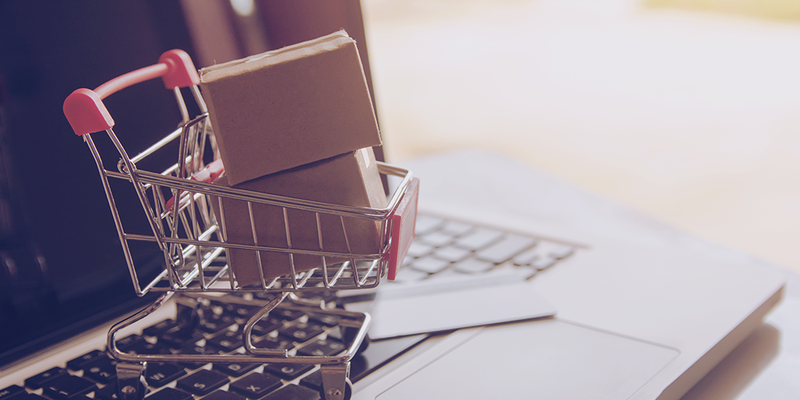 The different options for online sales channels for dropshipping businesses include: general marketplaces, social media channels, and your own website. The most prominent examples of general marketplaces are Amazon and eBay. Using a general marketplace can be very advantageous for dropshipping businesses. One of the best things about selling products on these sites is that all the work of setting up and hosting a website has already been taken care of. Since these platforms are widely popular, businesses also get recognition among a larger audience much faster than when setting up a site from scratch. That being said, increased attention also has a downside–increased competition. In a general marketplace, businesses constantly have to compete against other products for popularity and value. Over time, this can lead to some products losing out in the consensus of the platform. The next type of online sales channel is social media, such as Facebook Marketplace, Instagram, and even Pintrest. The rationale behind a business using social media as their sales channel is that this is where buyers spend a lot of their time. Rather than requiring your customers to specifically go looking for your products, using social media channels, you can take your products to them. However, there is a catch. It will take a longer time to gain a large audience when marketing your products through social media sales channels, since your marketing efforts have to be done organically. The last type of online sales channel is a privately-owned e-commerce storefront. Although your initial audience may not be as large, with time, setting up your own website is likely to reap significant benefits. To start off, owning your own store means having complete control. Unlike a general market, where businesses are confined to specific restrictions on the design, customization, or number of products they can list, an independent website means more freedom to express individual ideas. Even better, businesses don’t have to pay commission to another site for hosting their business. Who is your product meant for? Is it meant for a general crowd or a specific group of people? Finding a sales channel to target specific crowds can get a little tricky. Say, for instance, you sell a line of street fashion; your business would be targeting a younger crowd. Using a social media platform such as Instagram or Facebook will help you catch their eye. If your products or services aren’t limited to a specific group of customers, then a general online marketplace is preferable. For example, if your business is selling household appliances, you would most likely do well on Amazon or eBay. Do your customers purchase your products impulsively, or do they tend to do prior research? The question you need to ask yourself is: Do customers consider buying from you as an investment, or a simple buy? Let’s say you sell pricy electronics, like TVs. Your customers definitely put a good deal of thought into the specifications of the TV they plan on buying, and likely do preliminary research on their options before making the purchase. In this case, it’s better if you have your own ecommerce website where people can easily find what they’re looking for and go in-depth analysing it. Whereas, if the products you sell are mostly classified as impulse buys, then you can rely on a general marketplace with frequent traffic. Do you prioritize profit margin or visibility? For some business models, it’s more important to make higher profit margins with less overall visibility, whereas other businesses prioritize high visibility and more regular sales while compromising on profit margin. If your goal is to make higher profits, then a great way to promote your business would be to create your own customized dropshipping site. By setting up your own website, you are independent of other ecommerce platforms where merchants have to split their profits with the marketplace. Not having to pay commission considerably improves your profits. However, if you’d rather create a larger audience for your business, the obvious solution for you would be to use an ecommerce platform like Amazon or eBay, which would carry the benefit of marketing your products to more people. How important is it for you to have control over selling your products? Different businesses require different methods of featuring their products. If it’s important for you to have complete control in every aspect of selling your products, like deciding how to customize your product pages or handling marketing and payments, then having your own e-commerce store would be your best choice. With your own website, you won’t be limited like you would be when using a different platform. How much are you willing to pay for your sales channel? Every sales channel, regardless of the type, will cost you. When using a general market, businesses are usually charged commission fees which can remove a large portion of their profits. When it comes to setting up your own online store, you need to pay for marketing and advertising out of your own pocket. Weigh the pros and cons of each sales channel before making a choice. To sum up, sales channels are essential for dropshipping businesses to market and sell their products or services. Considering the facts about each type of channel and asking yourself these questions can help you figure out which channel is the best fit for you.